A few months ago, I launched my debt payoff series: inspiring stories from people who have paid off or are in the middle of paying off debt. 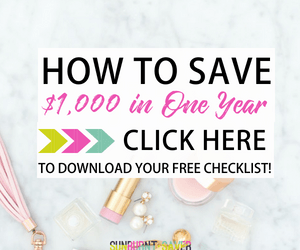 I figured you’ve been hearing enough about my debt payoff journey, and you might want some inspiration from others! 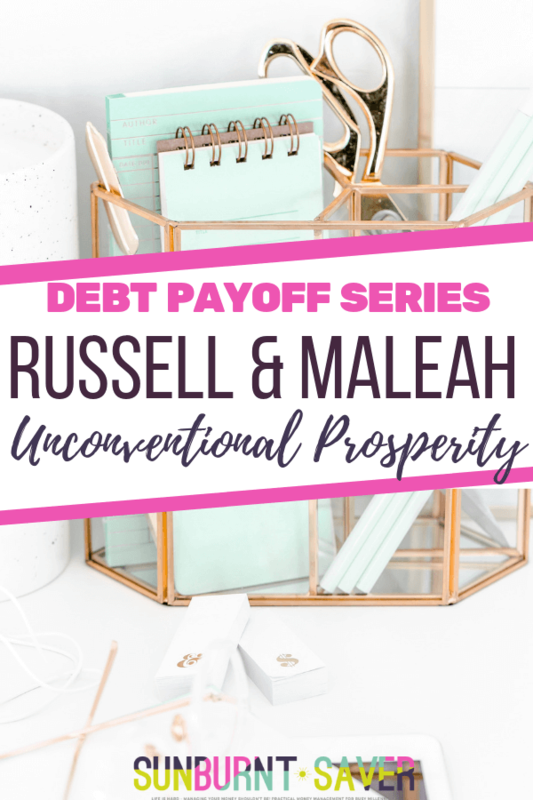 In this post, Russell and Maleah discuss how starting a business helped jump start and ultimately contribute to their total debt pay off – very cool! 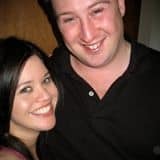 Russell and Maleah’s story is one of the most unique, and risky, stories I’ve read in a while. Starting a business isn’t for the faint of heart – but neither is paying off a lot of debt! Check out their story below – it could be just the jumpstart you need to start your own business and pay off debt. You can visit Russell and Maleah at Unconventional Prosperity here. 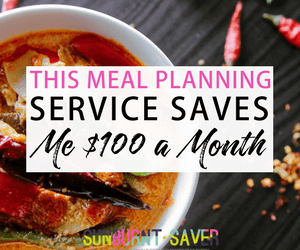 Do you want to be featured in Sunburnt Saver’s Debt Payoff series? Contact me here! 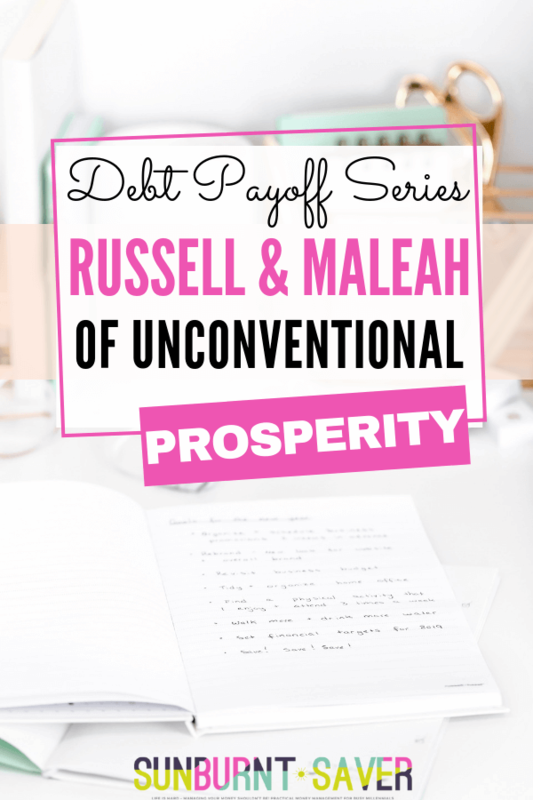 Russell and Maleah are the founders of Unconventional Prosperity and Stock Millionaires. Both blogs are about personal finance and our life of unconventional prosperity. 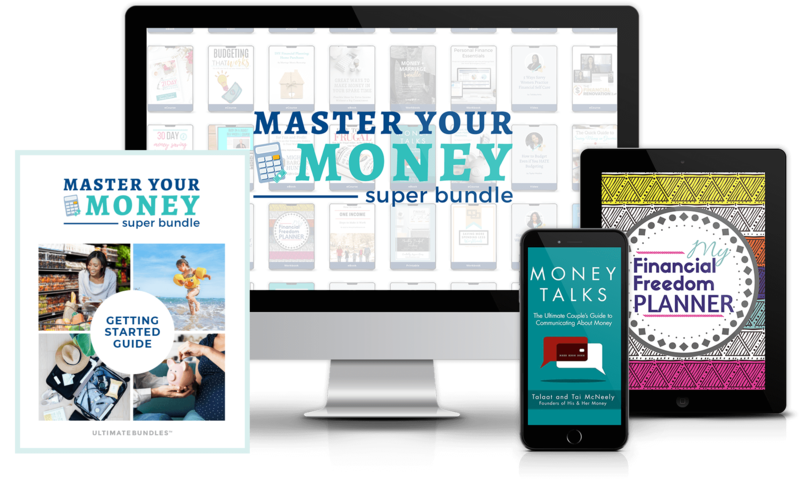 We blog about making money online, trading stock and various side hustles that people can start. We are dedicated to helping other people to do the same and live a life of abundance. 1. How much debt did/do you have and how did you get into it? student loans. We also had a car loan of $15,000 at the same time. 2. At what point did you realize you needed to deal with your debt? not the principle. When we started to become more focused on our finances, we realized that the interest payments on our loans were holding us back financially. We started to understand the compounding effect of the interest and the opportunity cost of having this debt. 3. Tell us about your debt pay off plan. 1. We started blogging and building websites to make money from affiliate marketing. 2. We started trading stocks and putting the profits towards the debt. 3. Renting out rooms in our house. 4. Maleah started working a side job delivering medical products. 5. We started a technology business to earn more money. We put all of the extra money from these side hustles towards paying our debt. It only took about 6 months of hard work and the debt was gone! 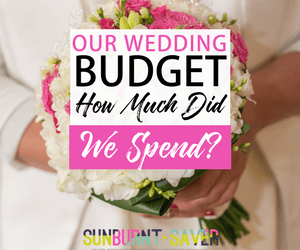 We also tried to live extremely frugally during this period to make sure that we could get the debt paid down as quickly as possible. 4. What was the hardest thing about your debt pay off process? All the extra jobs that did to pay down the debt were extremely hard work. Even renting out rooms in our house for extra money was stressful and hard work. We had a few tenants that cause us a lot of problems. The extra income was worth it though. Emotionally, it was difficult to see all the extra money going to student loan debt – there was no return on the investment. Maleah did not work in her field so the student loan debt was completely pointless. managed to pay it off before the end of the interest free period. This put our backs against the wall but ultimately saved us a lot in interest payments on the loans. 5. What was something you learned while you paid off/are paying off your debt? We actually learned A LOT. All the side hustles that we mentioned above were new to us. I doubt that we would have ever gone down the path that we are on now if we hadn’t been forced to start all these side gigs. So it has been a bit of a blessing in disguise – we are pretty much retired in our early thirties thanks to all the passive income that we make as a result of starting side businesses! 6. If you had to do it all over again, what’s one thing you would have done differently? I think that we would have started prioritizing paying off the debt sooner. The interest had grown the principal before we realized that we needed to focus on paying it off. We would have been more careful buying a car instead of allowing the salesman to talk us into buying something that we could not really afford. 7. What advice do you have for someone who’s in debt right now and is struggling to pay it off? much extra money you can generate. Maybe you want to become a freelancer (e.g. proofreading for people online) or perhaps you just want to start mowing peoples lawns. Whatever it is can change your life long after the debt is paid off. Thank you so much for sharing your debt payoff story with us, Russell and Maleah!